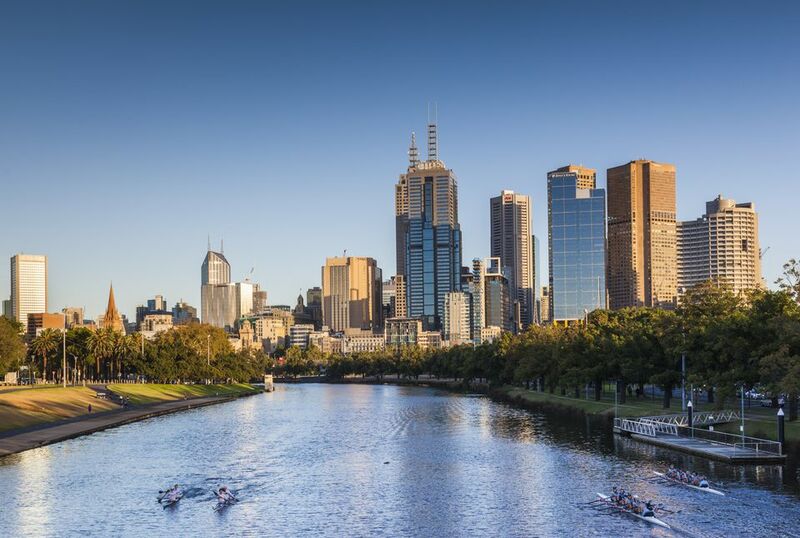 As a city of opportunity, rife with countless discreet laneways bustling with culture and a sense of purpose and individuality, Melbourne is often considered the culture capital of Australia. With a ceiling decorated with hanging chairs, you know you’re bound to be experiencing something special the second you walk in the door. From the décor the menu, everything about this café is top of the line – and uniquely unforgettable. Named after a 17th Century Sufi known for smuggling coffee, Brother Baba Budan occupies a small space, but it’s made a big impact on Melbourne’s coffee lovers. People from all across Melbourne head to the café to get their caffeine fix, so it’s little one that Brother Baba Budan made our list as one of Melbourne’s finest café locations. A laneway café in the CBD with “a passion for great coffee and great food” Manchester Press doesn’t disappoint on either front. At this particular café, their specialty is their wide array of mouth-watering bagels. With a variety of both sweet and savory bagels, Manchester Press is the place to go to satisfy any brunch craving. Try the bacon, banana and maple bagel for something completely sweet and decadent. Look: it’s waffles and it’s coffee. Do we need to say much more? Probably not, but we will! Waffee can be described as one of those ‘happy accidents’ that one stumbles across when wandering the streets of Melbourne for the first time. The café’s simple concept of blending the sweet, sweet taste of waffles with their quality coffee is a recipe for success. With countless flavors and variations of waffle and coffees to choose from, for a price that won’t hurt the hip pocket, you’ll leave feeling satisfied! We’re heading out of the CBD now – way out, in fact, to the eastern suburb of Sherbrooke. But it’s well worth the drive to arrive at Piggery Café, one of those café-bakery style set-ups that Melbourne does so well! Offering so much more than the standard snack to compliment your coffee, at Piggery Café, you can get the ultimate ying to your appetite yang. If it’s a wholesome feed you’re seeking? Look no further than knockout dishes like the Blackmore Wagyu burger or chorizo sausage brioche roll. Fancy something a little, well, fancy? The sweet and savory high tea should do the trick. Or do you want to pick at a cheese plate or sample some cake you're your coffee? There are plenty of snacks and meals to choose from here, so don’t hold back! Mastic is George Calombaris’ latest contribution to the food scene of Melbourne and boy, is it a good one. The café’s take on coffee and cuisine is more than worthy of exploring. With nutty blends of coffee complimenting this clean take on food, Mastic definitely belongs on our must-try list – if for no other reason than to taste the exotic sounding Avgolemono! If you’re more than happy to give in to culinary temptations without pondering too much the impact on your waistline, than Rudimentary may be the café for you. Rudimentary offers specialist dishes such as smoked brisket roll, slow cooked lamb, and Kingfish ceviche. But the vegetarians are also well catered for, with dishes like chickpea sauté or green eggs – served with basil pesto and sans pancetta, for the non-meaties – delivering the goods. Created from a mass of shipping containers, Rudimentary is just as interesting to look at and explore as it is to eat at. Combine the tasty fare with the impeccable and interesting styling of Desmond Huynh, and you’ll find yourself in one incredibly hip, delicious and unforgettable café. Seven Seeds café is the type of establishment that takes their coffee seriously. How seriously? Enough to stage regular ‘cupping’ sessions, where patrons can make a small donation to partake in a public cupping, whereby you taste and score coffees side by side. “It's a great way to develop your palate and breakdown aspects of the coffee's taste,” the café claims. It’s also a great way to give back to the community, as 100% of your $4 cupping contribution goes to charity. If you prefer to sip and savor your coffee rather than review it, you’ll be pleased to know that Seven Seeds has a rather fabulous coffee menu and enough food choices to have you salivating in anticipation. Sweet corn pancakes, brioche French toast, salmon rillette… Are you hungry yet? A specialty coffee roastery, café and retailer that charmingly boasts of being “born and bred in Melbourne”, Market Lane has a goal of making good coffee accessible and exciting. They certainly seem to be kicking strides in this department, with their Queen Vic café serving up top quality brew to complement the other produce and goodies you’ve stocked up on at the markets. Note that this isn’t their only location: Market Lane can also be found at Collins Street and Therry Street in the CBD; in Carlton; and at the Prahran Market. When reflecting on all the amazing places there is to enjoy a coffee in Melbourne, it’s easy to understand why so many foodies in particular continue to gravitate toward this effortlessly creative and cultured city. With so many varied approaches to the timeless institution of the café, you’re spoiled for choice – and our list is just the beginning. When you start exploring on your own you’ll uncover dozens of hidden gems in the nooks and crannies of this city, where cultivating the perfect coffee is considered an art form of its own.